LA SELVA BEACH, CA — A handful of county government insiders posing as community service volunteers were vocal participants in a successful attempt to shut down Michael Park as he delivered a facts-based speech on local Smart Growth policies regarding transportation and housing to the La Selva Beach Improvement Association on October 21, 2004. Read the transcript and see for yourself what they didn’t want the public to know. Those who are campaigning for Measure J to fund transportation projects are talking about how it will widen the highway and alleviate congestion – oh, and by the way, it’ll throw a few dollars at the alternative transportation projects like pedestrian access, bicycle lanes and a rail-trail. Those campaigning against Measure J will tell you that this is another concession to an unhealthy car-addicted culture, that widening the highway won’t work and that the terms of Measure J don’t guarantee that the funds allotted to alternative transportation projects will actually be spent that way. What I’m here to tell you tonight is that both of these groups are partly right and partly wrong – as is usually the case – but neither group has been able to give an accurate picture of what the ultimate result of Measure J will be. That’s the subject of my talk this evening. In 1972, the Regional Transportation Commission was created to provide for the area’s transportation needs. But there was something askew from the very beginning. Henry Baker, who was Deputy Director of the Planning Department at the time, gave a presentation to the County Board of Supervisors. He told them that in order to gain that a larger share of transit patronage, they would have to bait people with a carrot and discipline them with a stick. The plan called for an unheard-of thirty percent of the population using transit. Apart from downtown New York City, no other metropolis in the country has such a large section of the population using transit. There you have it. From the very beginning, our community leaders knew that the population would grow and that the highway would need to be expanded. They even knew what it would take – in the mid-eighties, they projected a need for 3 lanes each direction by 1995, or 4 lanes each direction by 2005. They also said that widening the highway was the highest priority project. But they were always willing to sacrifice the highway to the higher goal of increasing transit share. How else could they go twenty years with absolutely NO progress on the “number one priority” project? Thus, it should be clear why the situation with Highway 1 is so bad. It’s not that things got out of hand, and the transportation commission got caught holding the hot potato. They intentionally allowed congestion to build. They intentionally refused to expand the highway. Why? Well, succinctly, they expected you to get frustrated with the difficulty of driving and start using alternative forms of transportation. They manufactured a crisis in order to gain support for their solution. Does that sound like social engineering or behavior modification to you? It should. But in case it doesn’t, I want you to hear a quote from Linda Wilshusen, who was Executive Director of the Transportation Commission from the seventies until just recently. This leads into the housing aspect of Measure J, but before I get to that, I want to address specifically the transportation projects funded by the half-cent sales tax. Over its lifetime, this tax will bring in $577 million. Bonds will be issued for a lump sum to pay for each project, and then as the tax revenue comes in, it will be used to pay off the bonds (with interest added, of course). Approximately sixty percent of the total is slated for widening, which will expand Highway 1 from 2 lanes to 3 lanes between Highway 17 and Larkin Valley/San Andreas Road. But that third lane will be what they call a high-occupancy vehicle (HOV) lane; normal people call it a carpool lane. It’s for buses and carpoolers and emergency vehicles. It’s not for the majority of the people who currently use the highway, so it will actually have a less significant impact than an open lane. Remember what I told you earlier about the Transportation Commission’s projections for the future? They said that we would need an extra lane each direction in 1995. Well, 1995 passed and we didn’t get it. They said that in 2005, we would need four lanes each direction to make a noticeable dent in congestion. Here we are in 2004, voting on a Measure that will fund a third, highly restricted lane – which won’t even be finished until 2017, according to their project timeline! That’s not a solution. That’s a way for Commissioners to claim they tried widening – but they know all along that it won’t work. Second, they aren’t even allowing for future expansion. Part of the project includes the widening of overpasses along the highway to allow for more lanes. Since the eighties, the Transportation Commission has talked about making the overpasses big enough to allow a fourth lane – even if it wasn’t built until years down the line. Now, they’re talking about limiting it, which means that any widening projects in the future would have to re-do the whole bridge expansion thing again, at a prohibitive cost. Third, the widening project does nothing about the Fishhook. Supposedly that project is underway already, and thus didn’t need to be included in this measure, but given the Transportation Commission’s record with calling projects a “high priority” and not delivering on them until 20 years later (if at all), that rings a bit hollow. The reason why I bring this up should be obvious: if the newly widened section of Highway 1 could accommodate a million cars a day from here to kingdom come, all those cars would still have to go through a bottleneck at the Fishhook, so it wouldn’t work. The second major project to be funded by Measure J is the rail-trail. It isn’t very clear in the ballot language, but if you read the fine print, you’ll see that the funds can be used for acquisition of the rail line – which is where the rail-trail would eventually go. This is very soft language that obscures the Transportation Commission’s agenda, which is to establish a passenger rail system across the county. The idea is that since we’re already frustrated with driving (a frustration they cultivated with great deliberation), passenger rail would be welcomed. 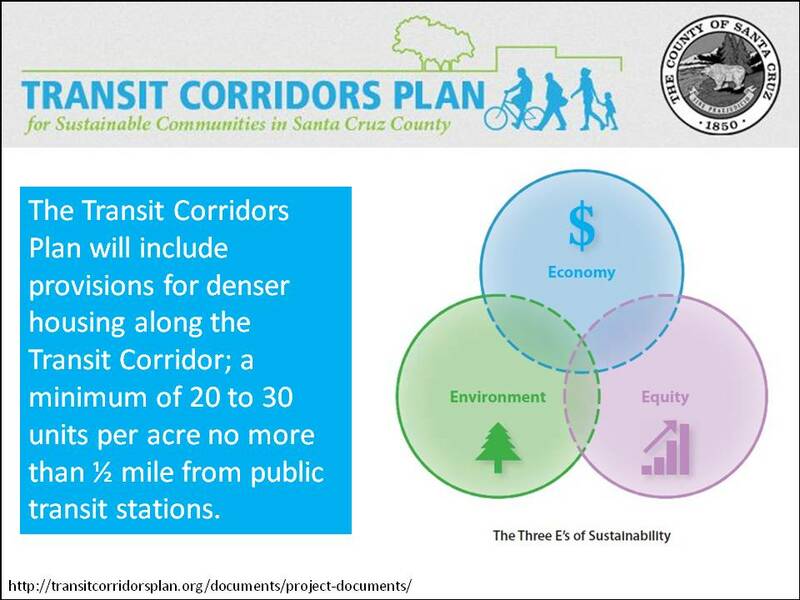 Since Highway 1, the only major transportation corridor in our county isn’t working, why not add another option? Once passenger rail is in place, then we wouldn’t have to drive to the San Francisco Airport. We could catch the train down through the Pajaro Station (another project funded by Measure J), over the hills into Hollister or somewhere in the valley, then up the peninsula to the airport. It would only take four or five hours! And it would leave maybe once or twice daily. And it would require a subsidy of over fifty dollars – your tax dollars – every time you step foot on the train, no matter how far you go. The truth of the matter is that passenger rail is much more costly than an efficient highway. I only know of two passenger rail systems that cover their operating costs through fares collected – New York City and Tokyo. However, they still require subsidies to cover their capital costs – that is, the trains, the stations, the storage yards, all the equipment. There is no such thing as a passenger rail that doesn’t require subsidies. It’s like a unicorn, or Santa Claus. It just doesn’t exist. Discounting that fact, the only passenger rail systems that even approach solvency are those that are in extremely densely-built communities. Think of downtown Manhattan. To review the transportation elements of Measure J, I’ll just give you those three crucial quotes from our public officials. Now, finally, I want to address the housing aspect of Measure J. Many people will say that because all the projects listed on the ballot are for transportation projects, that this point is irrelevant. But it’s not. In fact, it is the most crucial aspect of Measure J. 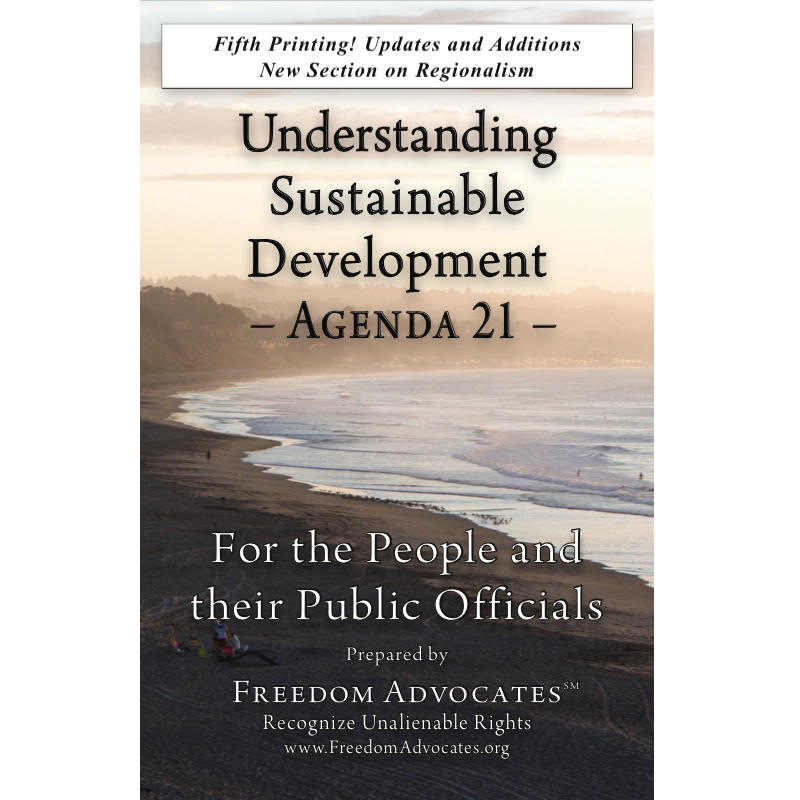 A bird’s-eye view of transportation policy in Santa Cruz County reveals that government planners want to move our community in the direction of rail transit and other alternate modes of transportation. Over the years, the transportation commission has done several studies on the viability of rail transit in the area, and each time, they’ve found it to be lacking. The last study – from 2001 – was very clear because it showed that every trip would require a taxpayer subsidy of over $50. In the face of such blatantly unflattering projections, why do our public officials continue in that direction? Well, I can tell you one reason: because they know that the high-density housing patterns required for a passenger rail system to work are being developed as we speak. On one side, we’ll soon have a heavily-subsidized transportation system that de-emphasizes auto travel; on the other side, we’ll have a government-built, government-funded and government-regulated matrix of high-density housing developments. It started in 1978, when the anti-growth fervor was so strong that voters approved Measure J, which established an urban growth boundary, outside of which no public services are guaranteed and only a small number of homes are permitted to be built. Many people voted for Measure J, thinking that they were protecting their neighborhoods from overdevelopment. How ironic it is, then, that the current Measure J will provide the momentum in housing policy to destroy our neighborhoods as we now know them. But the original Measure J wasn’t so benign. Along with a gargantuan zoning code and exorbitantly priced permit process, the urban growth boundary is largely responsible for restricting the housing market and driving up costs. Just a couple years ago, the City of Watsonville got its own urban growth boundary in Measure U. Housing prices aside, though, the designation of urban growth boundaries has led to an environment in which we must “build up, not out”. That’s a direct quote from Gene Arner, who’s the current Director of the Planning Department for the City of Santa Cruz. Operating on the principles of so-called “Smart Growth”, planners in Santa Cruz County have set out to build up our neighborhoods in a manner that restricts our mobility, gets us out of our cars, takes away our private space, regulates our day-to-day activities and even dictates to us how much exercise we need to get. In that same article, Ellen wrote that “the goal is to build communities, not just houses.” – which sounds nice, but when government planners dictate to you how you are to be exercising, or require that your home be built with little or no private space and prevent you from designing your own landscaping, all the life and soul of a community disappears. Even the most beautiful home with the most vibrant colors and well-manicured grassy areas starts to look and feel bland if individual choice is taken away. Ellen recognizes that most Californians want to live in single-family homes in low-density neighborhoods. It’s the same way all over the country, as studies have shown, and right here in La Selva Beach, I suspect it is the same. But individual wants, needs, and desires don’t matter. Government planners have decided that high-density development is the way to go, and if we don’t go along, then it will be forced on us through the rezoning and rebuilding of our neighborhoods. To that effect, the recent Santa Cruz County Draft Housing Element that passed the Board of Supervisors has targeted parcels in certain neighborhoods – 190 parcels have been identified that have buildings already on them that will have to be removed to make way for whatever new developments the County has planned. There are many, many more parcels without buildings that have also been labeled “underutilized” and are prospective sites for government-initiated building projects. Ellen voted to approve this document, which is currently awaiting approval by the state agency of Housing and Community Development. She also voted, along with the rest of the Board of Supervisors, to give Tom Burns, our County Planning Director, authority to declare “emergency” zoning changes, which means that he can change your parcel from R-1 (which is a single-family home) to RM-5 (which means a multi-family complex with five units per acre) – without you even knowing it. At that point, if your home burnt down, you couldn’t rebuild. You would have to build apartments. Were you aware of this? If HCD approves our county’s Housing Element, then we have access to all kinds of funding. But recall what I told you earlier – that the funding is contingent on the application of these Smart Growth principles, which tie transportation and housing together. So housing must be built in patterns that complement the transportation plan and transportation must be developed in a network that complements the housing plan. I want to be very clear here: what I’m saying is that Measure J funds transportation projects that complement an ongoing plan in the County to transform communities all along the railroad tracks into dense pockets of heavily-regulated, government subsidized housing projects. This fact is indisputable. Now, I have one more point to make about the housing plans for Santa Cruz County, which has to do with corrupt practices involving insiders who get these coveted government building projects. What you may not know is this: every time someone builds in this county, they pay all sorts of fees. One of them is called an “in lieu” fee, which is supposed to go into a fund to developed affordable housing projects. But by the planning department’s own admission, these funds basically go straight into the pockets of non-profit development companies. There are two major non-profit developers in Santa Cruz County: Mid-Peninsula Housing and South County Housing. Everybody knows that government contracts are more lucrative than private contracts, and these companies are making quite a pretty penny off their developments. I’m not suggesting that there is bribery going on here (though I wouldn’t rule it out), but it’s remarkable how easy it is for some of these projects to get official sanction, while single-family home developments are run through the regulatory ringer. I sat in on a meeting of the Planning Commission recently where I saw this very practice in effect. I was there to give comments on the Draft Housing Element, but two other presentations were made as well. One was for a large, government-subsidized housing development (the one in Seacliff, just off State Park); the other was a small, three-home development. The large development was built very densely – it passed with hardly any objections. The small development was approved as well, but I was astonished to hear some of the Planning Commission’s comments on it. They almost denied the permit for no other reason than because the architect’s drawings denoted the plants for landscaping with their proper Latin names rather than common English names. Because the commissioner couldn’t read Latin, and therefore couldn’t determine whether those were the “approved” kinds of plants, she almost opposed the entire project! People who vote for Measure J, thinking that it will gain them a nice recreational rail-trail stretching the length of the county… People who vote for Measure J, thinking that it will alleviate congestion on the highway… People who vote for Measure J, thinking that it will take care of all the pockmarked roads that cause damage to bicycles and automobiles alike… They are all deceived. The soothsayers who crafted this tax initiative will tell you there’s something for everyone in this deal. Well, they’re right – everyone will find that the controlling grip of government power brokers and their inside partners has tightened. If Measure J passes, you will find yourself increasingly submitted to the will of planners for your life. From the highest level of California State government down to the lowest level of Santa Cruz County government, there are rules and regulations that are in place not to protect you, the citizen, but to increase the control others have over every aspect of your life. The effect of Measure J is simply to provide funding that will awaken the beast and give it momentum as it lunges at us. Ten Central California Counties had similar Sustainable Development transportation measures. A two thirds vote was required for passage. The measure past in nine counties. Santa Cruz’s measure failed, garnering only 42% of the vote. The Santa Cruz Housing Element: False Promises?